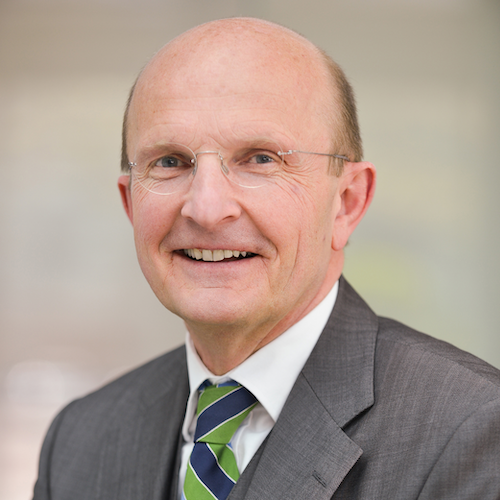 Dr. Peter F. Tropschuh is Head of Sustainability at AUDI AG. In this role, he directs and implements AUDI AG’s various sustainability and corporate responsibility initiatives. Dr. Peter F. Tropschuh studied at Technical University of Munich (TUM) and graduated with a degree in mechanical engineering in 1982. He has received a doctorate for his work on “Computer supported design using knowledge-based systems” from the same university in 1988. The same year, Dr. Peter F. Tropschuch started working for AUDI AG in Ingolstadt. Over the years he held various positions in the field of development, including being an assistant to the Director of Technical Development and head of the General Secretariat, the Product Strategy Committee, Advanced Engineering and AUDI AG’s Research Partnership Program. Between 2006 and 2012 he was responsible for Volkswagen’s “AutoUni” in Wolfsburg. Since July 2011 he has been in charge of Corporate Responsibility and Politics at AUDI AG in Ingolstadt. Peter Tropschuh is engaged as a lecturer on “Trends and developments in automotive engineering” in TUM’s Department of Automotive Engineering since the 2007/2008 fall semester and also a Honorary Professor at TUM since 2015. Dr. Peter F. Tropschuh understands that to Audi, sustainability means future viability. Consequently, the car maker is consistently advancing the development of alternative drive concepts. Audi has a clear vision for the future: In the year 2025, Audi will sell approximately 800,000 electric cars and plug-in hybrids – approximately every third Audi. The world premiere of the Audi e-tron marks the start of this model initiative.